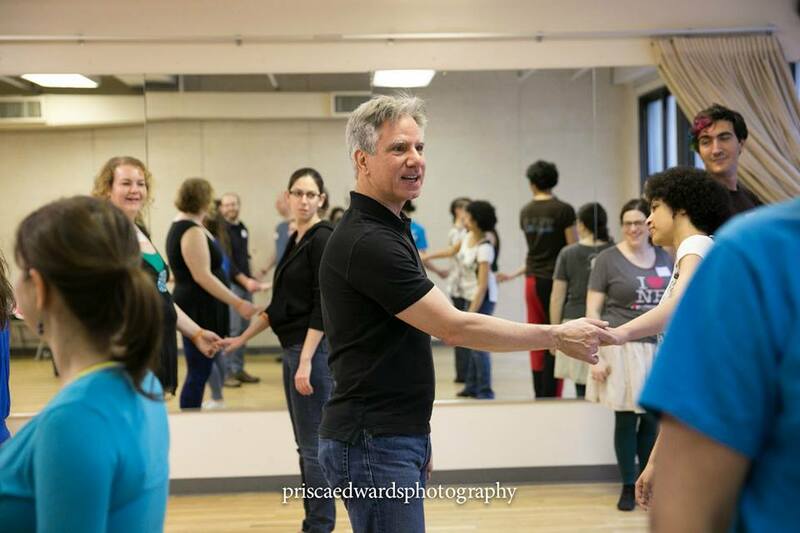 "The best partner dance class I've ever had, of any kind, ever!" "You guys are the gold standard for partner dance teaching. Wow." Come join us every Wednesday at WESTIE CAFE, NYC's biggest and best (and only) weekly WCS social dance! Friendly folks from Absolute Beginner to All Star, and quite literally everyone happily dances with everyone. Great music, excellent sound system, excellent wood floor, fairly good A/C, free snacks. We (Paula and Ken) host the dance, which of course is why it's so friendly, inclusive, and fabulous! MAY-JUNE 2018 Classes - Our last set of classes before we break for the whole summer. Our next classes begin in September, after summer break. We'll leave these descriptions here in the meantime. First week is FREE! Come see if our teaching style suits your learning style! Risk Free! We will learn and rapidly improve our WCS by focusing on the 6 primary building blocks of WCS. Snap these together, and we can magically dance about 80% of all WCS moves. By the end of class, you'll know about 10–20 moves — but far more importantly, you'll be good at dancing all of them … and ready to pick up new moves fast. The best WCS "Foundations & A Lot More" class in NYC. • People who have other partner-dance experience and want to learn WCS fast, without having to plow through a standard WCS Beginner class. • People who have taken some WCS classes and want to understand WCS 10x faster. ​Prerequisite: Ability to count to 6. ​We'll teach you the rest. No partner or prior experience needed. If you have any prior dance experience, we will use it to maximize your learning. Clothing and Shoes:​ Scroll down to the "CLASS DETAILS" section below. Thanks. SATISFACTION GUARANTEED.​ First week (May 21) is free. 100% refund available any time before the 2nd lesson, no questions asked. So you can be sure our teaching style suits your learning style! Risk free! In this class, we'll continue where we left off (so if you were in our previous classes, you'll be fine). Each week, we'll spend a moment to deepen our understanding from the previous classes so that no skills slip away. And then we'll tackle all new material. This month, we'll focus on ... come find out! (Tentative: "accelerations," folds, roll-in/roll-out, hip/rib-catches, the 3 different ways to do each thing, structural musicality … and cool combinations of all that.) Let's see how amazingly advanced we can get! PREREQUISITE: Paula and Ken's 101. Or you have taken more than 60 weeks of WCS classes (more than 1 full year, every week) with other teachers up through their "Intermediate/Advanced" level. SATISFACTION GUARANTEED.​ 100% refund available any time before the 2nd lesson, no questions asked. So you can be sure our teaching style suits your learning style! Risk free! • Special note: Please do not ring the doorbell until after 7:31 pm! The doorbell is REALLY loud, and rings right in the classroom. There is another teacher in the space before us, and we don't want to disturb them. Before 7:30, we'll have someone standing by the door to open it quietly for you. No classes. Enjoy your summer! $205 (Regular) • Age 21 and under (students, non-students): $125 each for "groups" of 2 or more. We will learn and rapidly improve our WCS by focusing on the 7 primary building blocks of WCS. Snap these together, and we can magically dance about 80% of all WCS moves. By the end of class, you'll know about 10–20 moves — but far more importantly, you'll be good at dancing all of them … and ready to pick up new moves fast. The best WCS "Foundations & A Lot More" class in NYC. LIMITED ENROLLEMENT! We have a class size limit. We expect the 1st week will be a bit crowded (over the class size limit), thanks to our "First week is free" policy. By the 2nd week, everything will have stabilized and we will limit class sizes in order of time of payment. In this class, we'll continue where we left off (so if you were in our previous classes, you'll be fine). Each week, we'll spend a moment to deepen our understanding from the previous classes so that no skills slip away. And then we'll tackle all new material. This month, we'll focus on ... come find out! Let's see how amazingly advanced we can get! Tentative: REVIEW of "accelerations," folds, roll-in/roll-out, structural musicality. NEW: hip/rib-catches, WCS Ochos for both followers & leaders, Rock 'n' Go, Behind-the-Back Whip & Weird Cool Variations. Super-fancy bonus move if we get there: Behind-the-Back Whip with a High-hand start into Rock 'n' Go into Leader's Ochos into about 8 different endings! ​Ken Kreshtool: Internationally ranked West Coast Swing competition dancer. "The best instructor I've ever had in ANYTHING!" — Harvard University students' comments, 6 years in a row, for his on-campus dance classes (while working on a PhD there). Also B.A., M.A., A.M., J.D., and formerly taught ballroom, salsa, swing. West Coast Swing (WCS) is a partner dance, a smoother and highly sophisticated form of Jitterbug or Lindy Hop-style Swing dance. It kept evolving in California during the post-WW II decades when Jitterbug itself (aka Lindy Hop) went dead or dormant for 50 years. It has continued evolving dramatically even today, adapting to new music and new dancers. Over the years, it has "borrowed" (stolen) almost every cool move, turn, dip, and styling from Lindy Hop, Salsa, Hip Hop, Country, and booty-shakin', and even some Ballroom, Zouk, Tango and Blues. West Coast Swing has one of the biggest vocabularies of moves and combinations of any partner dance — and the widest range of music styles. At the same time, WCS Followers have more freedom for improvisation than in any other partner dance. WCS is the easiest of the Swing dances to learn (if you have the right teachers — that's us! ), but perhaps the most challenging to fully master. It's hugely popular on the West Coast and in Europe and South America. Come get in on the fun as it sweeps the East Coast! DROP-INS PERMITTED? Yes for our Sunday workshops. But for our Monday classes ... no. Our multi-week classes on Monday nights are cumulative — each lesson builds on all previous lessons. We are extremely reluctant. We want you (and all your partners in class) to be happy! Not frustrated! Our class is intensively cumulative. We lay nearly all the groundwork in the first class. Please come to the first lesson! Thanks for understanding. • Start at 2nd lesson? Probably not, but ask us. If you absolutely cannot attend the 1st lesson, contact us about starting at the 2nd lesson. However, note that — just like when going to the movies — there's no discount for starting late. Also note that we cover so much fundamental stuff in the first lesson, which we build on in all subsequent lessons, that we have never had anyone catch up after missing the first lesson. If you absolutely must miss the 1st lesson, and absolutely cannot wait until our next full session, you are welcome to schedule a private lesson with one of us before the second lesson. • ​Start at 3rd lesson? No, sorry. We cover so much ground in the first two lessons, that we have never had anyone successfully start during lesson 3. We ask you to wait until our next class series starts. Thanks!